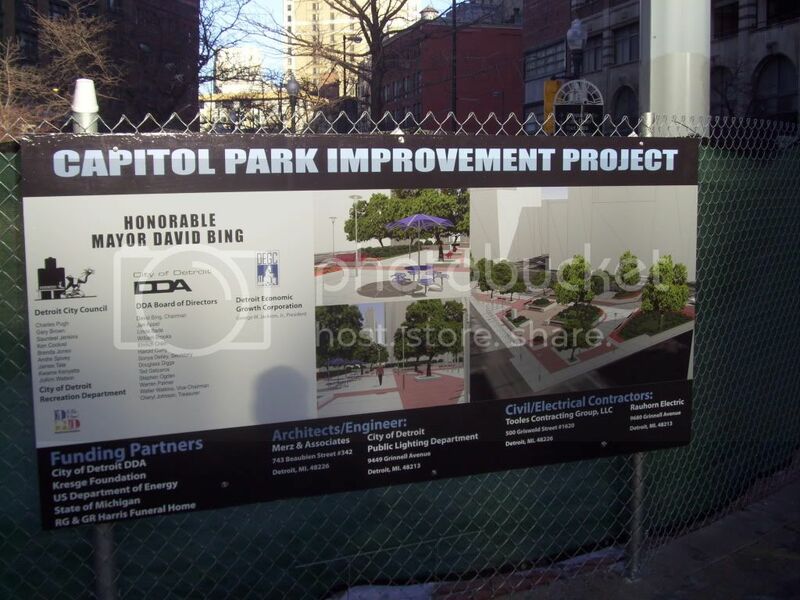 Now that the Rose Parks Transit Center is open upgrades are coming to Capitol Park. Those upgrades include new landscaping, lighting and signage. The Stevens T. Mason statue will be moved. I really hope something is done with the vacant buildings surrounding the park. It really does have a lot of potential. Some pictures of the park can be found in the article below. If anyone wants pictures of the buildings surrounding it I can post them. I photographed them pretty thoroughly. I noticed a group of men in suits wearing hard hats going in and out of 2 buildings on the northwest side of the capital park area this morning. I did not have a chance to look at exactly what buildings they were in, but I think it is a good step when we see this kind of movement. Perhaps we will see progress soon, this area has as much untapped potential as anywhere downtown. The DDA hopes to acquire 3 Capitol Park buildings by the end of the year. They would like the area to one day be a residential and entertainment district. The buildings are all or mostly vacant and include 1145 Griswold, 1212 Griswold and 1249-59 Griswold. I'm pretty excited/hopeful about the future of the park and the buildings surrounding. I wish the area around Grand Circus Park could become a residential and entertainment district just like Capitol Park is going to be. This sign must of been put up recently. Has the design changed some since plans were first released? It seams different but I can't access the previous article to compare. The boy governor's remains HAVE been found. This is the 3rd time his body has been moved.